Then there's the case of Dr. Harland G. Call, who was diagnosed with skin cancer and was advised by a surgeon to have it removed. Instead, he decided to sunbath the cancerous area. Still, we're bombarded almost daily with dire "warnings" from reputable "authorities" admonishing us, for our own good of course, to avoid the sun at all costs. 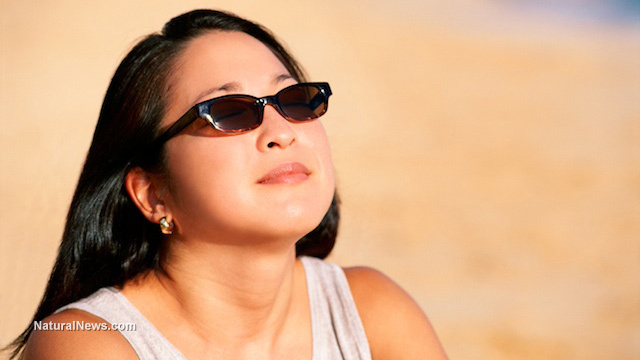 For example, Dr. Robin Ashinoff, chief of dermatological and cosmetic surgery at Hackensack University Medical Center advised: "Wearing sunscreen and then deliberately going out in the sun is almost as [bad] as going out with no sunscreen at all." Is Dr. Ashinoff advocating a vampire lifestyle? The reality is that the vast majority of people, including doctors, have been duped into believing the myth that the sun is toxic, carcinogenic and a deadly health hazard. Dr. Auguste Rollier opened the first European "Sun Clinic" in 1903 at Leysin, Switzerland. He also wrote a very influential book: Heliotherapy. He was considered the most famous heliotherapist in the world. At his peak, he operated 36 clinics. Dr. Rollier espoused that the sun was an unsurpassed broad-spectrum medicine. He healed his patients using a wholesome diet combined with the power of the sun.